Spring has sprung! Do you know what that means? It's time for another seasonal craft! So, what craft is it today? 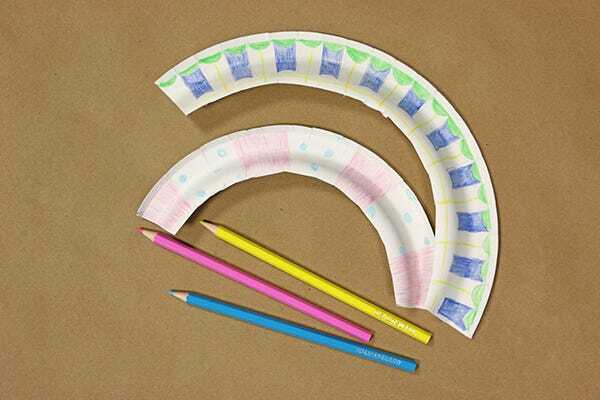 A paper plate caterpillar! This project is classroom-friendly and so easy to create, yet we think it's one of the cutest we've done! Take a look! This craft was inspired by Glued To My Crafts! Step 1: Use the scissors to cut half of the plate's rym away. This is the body of your caterpillar! 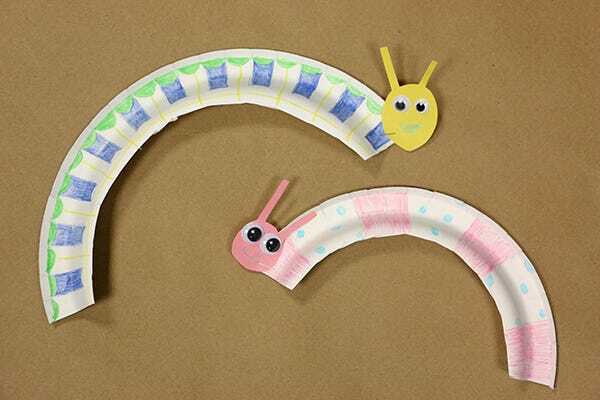 Each plate makes two paper caterpillars. Step 2: Next, decorate! Grab your favorite colored pencils, markers or crayons to brighten up your new crawling pal. Get extra wild and add stickers or crafting pom poms. Step 3: Make sure the colored paper is handy because it's time to create the caterpillar heads. We freestyled this process, but you simply want to cut out a round head shape with two antennae on the top. Another option is to use pipe cleaners as the antennae! 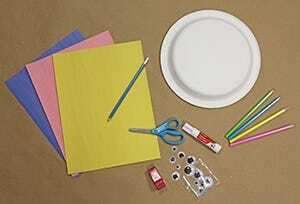 Step 4: Give the faces some eyes by gluing on googly eyes or drawing a pair! Step 5: Add a mouth to the face! Easy, right? Step 6: Finally, attach the paper head to rest of the body by stapling it to the end of the paper plate rim. Ta-da! The creation of your new spring time friend is complete! Now all that is left is to enjoy his/her company! 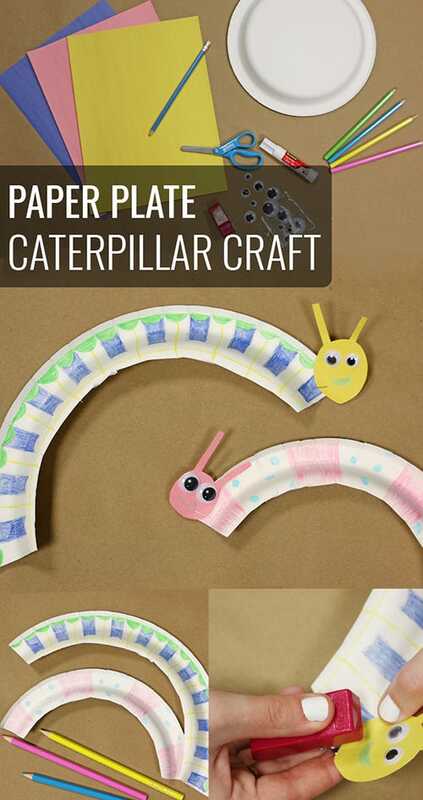 If you made this paper plate caterpillar craft, we want to see! 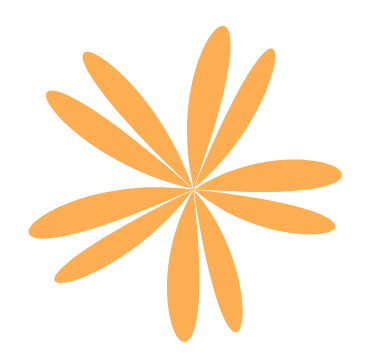 Send us photos and tag us on our Facebook and Twitter! This always makes our day!